There are currently some very attractive and affordable houses for sale in the charming locale of Nottingham Forest, a community in Whitehouse, TX. According to popular local tales, Whitehouse was given its name by engineers of the county’s first railways. The local train stop was nearby a white-washed building, so it seemed logical to call the community “Whitehouse.” The town was founded in 1845 and later incorporated in 1953, and it has long been considered one of the most desirable small towns in Smith County for buying residential property. When looking for a new home in Whitehouse and Nottingham Forest in particular, you will be pleased with the immense diversity of sizes, designs and prices of homes currently available. If you prefer an attractive family home in one of the impressive area communities like Nottingham Forest, now is an excellent time to purchase your new residence. Today, you can choose from attractive single family homes in Nottingham Forest at very reasonable prices ranging from $138,000 to $228,000. 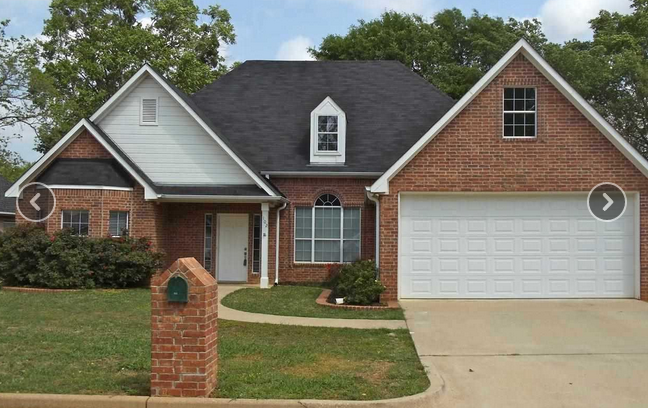 These homes all have from two to four bedrooms and at least two full baths. There are various house designs and styles to suit many different personal preferences and needs. Whether you are in the market for a spacious ranch style house, a two-floor craftsman design or a modern house with vaulted ceilings this neighborhood has it all. The Nottingham Forest community offers an ideal lifestyle for families. A large number of the homes in the neighborhood are family homes creating a great community for children. This part of Texas has a very appealing climate which is ideal for enjoying the outdoors and an active, healthy lifestyle. Schools throughout the entire area are innovative and highly rated with ongoing improvements and regular community involvement. Nottingham Forest has many fine advantages to offer anyone who is in the market for a new home in the Whitehouse, Texas, area today. As an active and prosperous region, Whitehouse and all surrounding communities are a popular location for many young professionals as well as people of all ages. Just south of Tyler, TX, and 115 miles from Dallas, Whitehouse is the perfect connecting point between fast-paced urban activity and relaxed country life. With a population of approximately 7,000, this town attracts water sports enthusiasts since beautiful Lake Tyler is a very popular local recreational spot. In addition, the residents of Whitehouse are civic-minded, always ready to bring more improvement to an area that is already ideal for a healthy, happy and productive lifestyles. The Whitehouse 2020 plan was designed by the municipality, the chamber of commerce and the local school district as a means of upgrading the quality of life in general, promoting community projects and improving students’ test score levels in all area schools.